For most of us, a trip to a hardware or plumbing store couldn’t be a more mundane activity. But for Harry Lange, it was often inspirational. In fact, if the German-American art director, set decorator and production designer hadn’t spent so much time browsing such places with his keen eye, Star Wars may have ended up looking like a very different film. Together with his then-teenage son John, Lange would scour such stores, as well as the aircraft breaker’s yards around Heathrow Airport, hunting for items that he felt were unusual and striking enough to help create the battered, ‘future junkyard’ look of George Lucas’ galaxy far, far away. 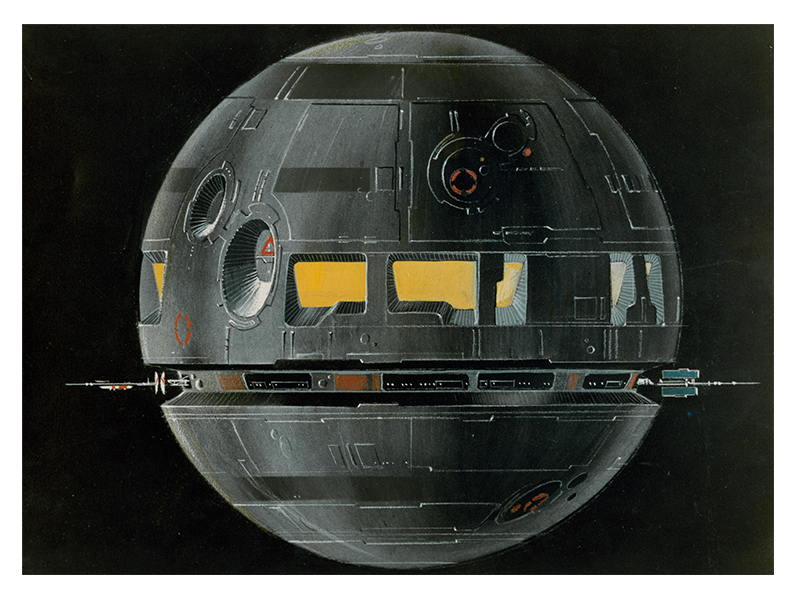 In truth, as John puts it, this approach was a case of “financial necessity”, the result of Star Wars’ limited budget. But it paid huge visual dividends. Not only did it contribute to a science-fiction-style world that felt vibrantly novel, it also gave it a sense of relatability and reach-out-and-touch realism. Amid all the spaceships, lightsabers and colorful alien creatures were objects and components that felt familiar, even if on a subconscious level. With Lange, that kind of approach came naturally. Which is hardly surprising when you look at his remarkable background. During the 1950s, Lange was drafted into the US Airforce, where his work drawing aircraft and missiles led to him being assigned to lead a team of artists at the newly formed NASA. 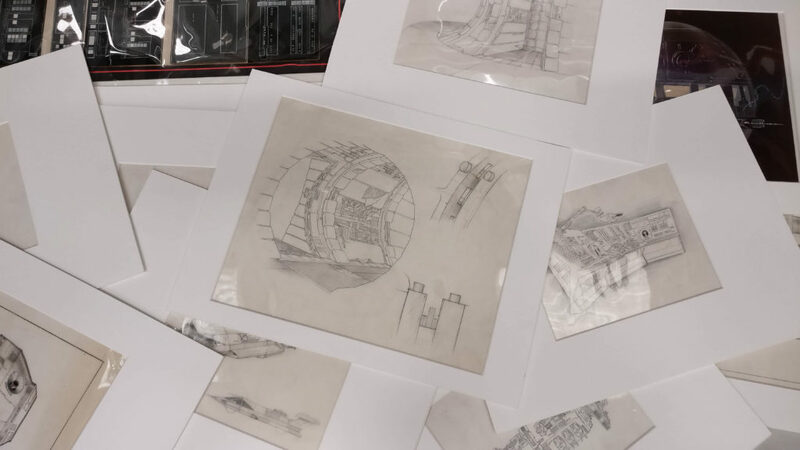 Together, this future projects team visualized a bright, spacefaring future designed to inspire the US Congress to get behind the nascent space program. 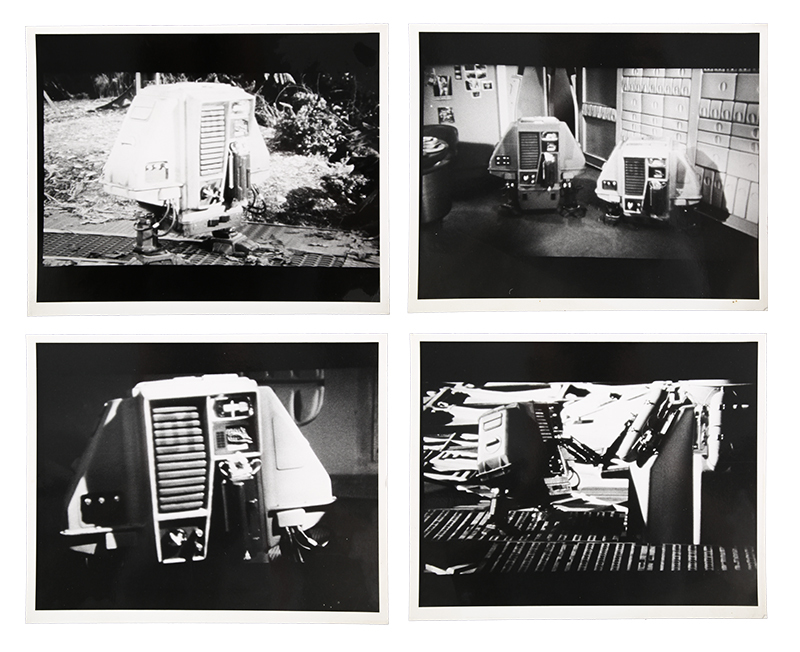 Long before crafting a fantastical vision of space travel, Lange crafted a real-world one. His introduction to film design was very much a ‘thrown in at the deep end’ situation, but the results were industry-changing and iconic. While at NASA, Lange met sci-fi author Arthur C. Clarke, who in turn introduced him to Stanley Kubrick, with whom Clarke was working on the 2001: A Space Odyssey script. Impressed by Lange’s work, Kubrick invited him to move to England and join the production in a role for which he was ultimately credited as production designer (alongside Ernest Archer and Tony Masters). Over the next three years, Lange learned on the job and he even earned a BAFTA, with Archer and Masters, for his work on 2001. The movie was also, of course, a milestone achievement in visual effects and made the world realize science-fiction was a genre that was not only highly commercial, but should be taken seriously. Sadly, Lange’s work on Star Wars was not so widely recognized. Thanks to the fact that he wasn’t part of a union, he didn’t even receive a credit for his efforts on the movie later rebranded A New Hope (which won an Oscar for Best Art Direction and Set Direction), though he was credited as art director on The Empire Strikes Back (for which he received an Oscar nomination) and a set decorator on Return of the Jedi. His artistic influence on all three films was felt, not least, in the way they all shared that same appealing sense of “junkyard fetishism”, to quote John Lange. 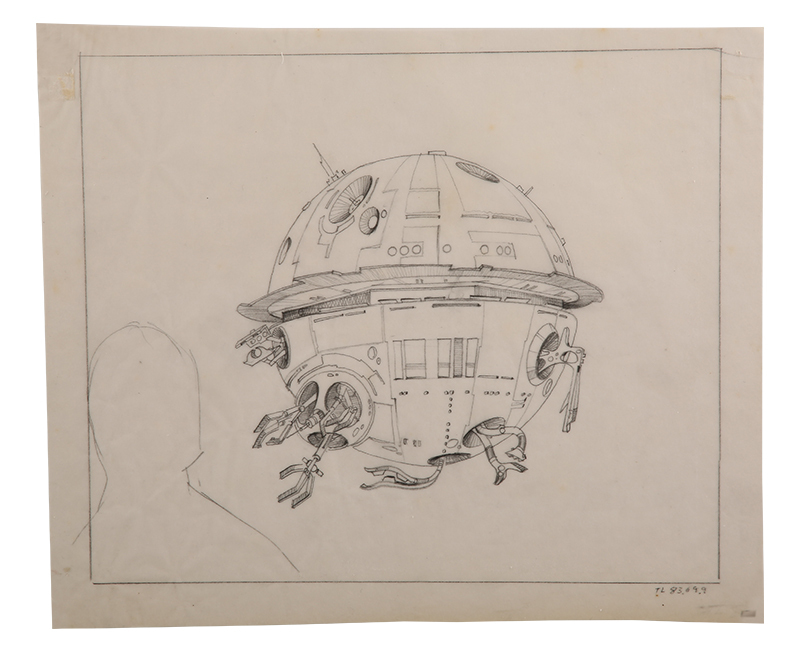 It’s something that really shines through in the 70 lots being offered by Prop Store in its Harry Lange Star Wars Collection auction, which include his original drawings and on-set photography. Lange would go on to production design Jim Henson’s beautiful, bestial fantasy The Dark Crystal and Monty Python’s final movie The Meaning of Life, while he also contributed his talents to Superman II and James Bond adventure Moonraker. 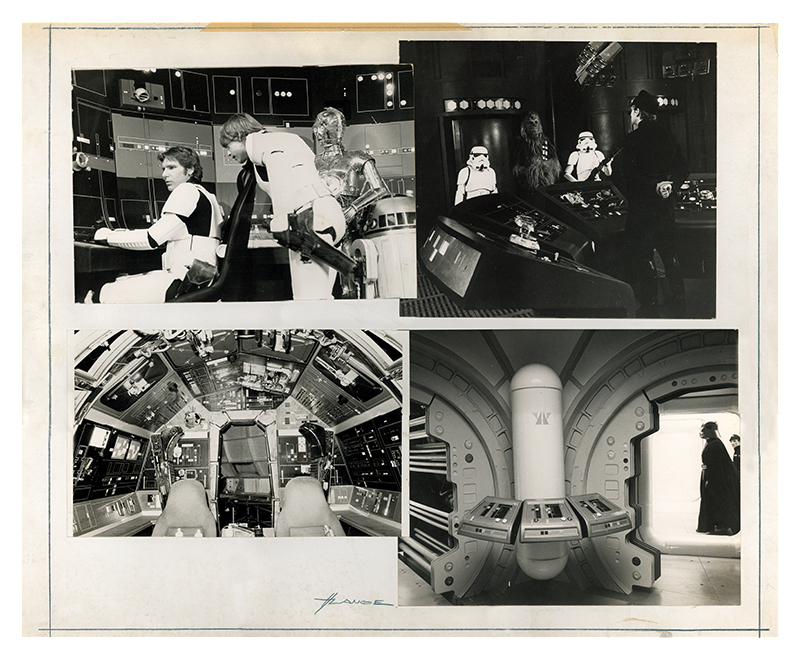 But it’s his designs for Star Wars that really resonate — the interior of the Millennium Falcon in particular, a place that for many of us still feels like a kind of home. Though Harry Lange passed away just over 10 years ago, his deep influence on this monumentally beloved cinematic saga is certainly still felt.